Led by another sublime performance from world champion galloper Winx, Magic Millions graduates starred around the country on a big day’s racing. Racegoers were left searching for the right superlatives when Winx cruised to an almost four length win in today’s $4 million Queen Elizabeth Stakes (2000m) at Randwick. The win, her 25th in succession, was her 18th at Group One level and helped push her prizemoney to just $2,000 shy of $19 million in earnings. The daughter of Street Cry was bred by Fairway Thoroughbreds and sold to Magic Bloodstock at the 2013 Gold Coast Yearling Sale through the draft of Coolmore Stud. 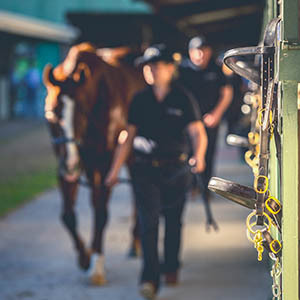 Winx was one of six individual stakes winners sold by Magic Millions to win at stakes level today with feature winners coming across four states. Another mare to shine at Randwick was the WA bred and sold speedster Quilista, a dashing winner of the Group Two Sapphire Stakes. The Darren Weir trained daughter of Scandal Keeper established a big break approaching the turn and under the urgings of race rider Damian Lane was able to cruise home by a length and three quarters. A winner at Group Three level at her previous start, Quilista is turning out to be one of the great yearling sale buys. She was purchased by former trainer and part owner Justin Warwick for $10,000 at the 2015 Perth Yearling Sale. Bred and sold by Ellie Giles’ Korilya Stud, Quilista now boasts eight wins and earnings of over $560,000. She will now head to Adelaide to contest the Group One double of the Robert Sangster Stakes and The Goodwood. Valour Road confirmed his status as the Champion 2YO of Western Australia when at his second start he scored an easy win in the Group Two Karrakatta Plate (1200m) at Ascot. One of five runners in the juvenile dash for trainer Simon Miller, Valour Road made it two feature wins from two starts when he held out stablemate Lady Cosmology by a half length after leading throughout. By Giant’s Causeway’s Group One winning son Frost Giant, Valour Road scored a brilliant debut win in the Magic Millions WA 2YO Classic at Pinjarra for Miller and jockey Aaron Mitchell. Valour Road was bred and sold by Yarradale Stud at last year’s Perth Yearling Sale where Miller went to $60,000 to secure the rising star. 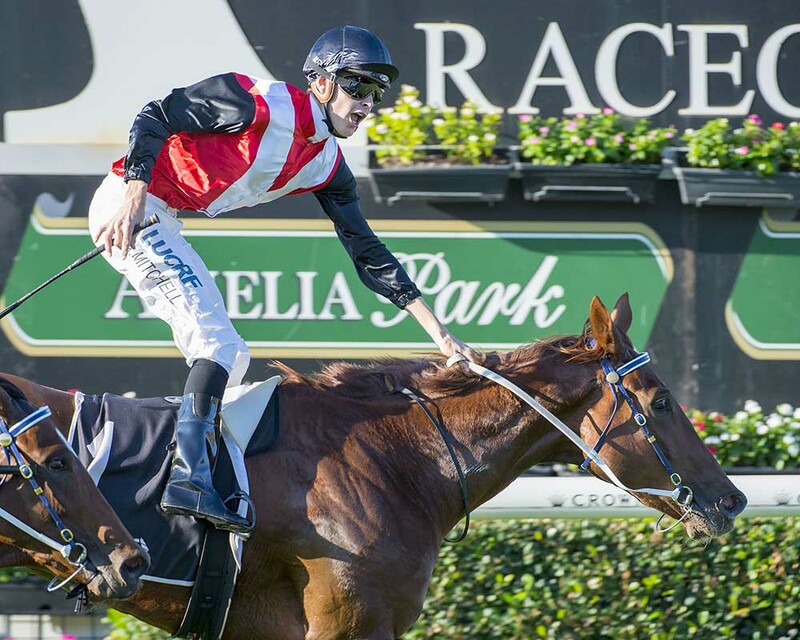 Chris Waller’s massive day with a Group One treble at Randwick was boosted when his talented filly Improvise scored a valuable stakes breakthrough in the listed Princess Stakes at the Sunshine Coast. A daughter of Hinchinbrook, Improvise found enough when asked by Damian Browne to score a half length win. A half sister to stakes performer Princeton Miss, Improvise was purchased by Waller for $200,000 from the draft of Yarraman Park at the 2016 Gold Coast Yearling Sale. 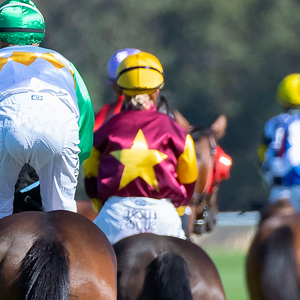 The Adelaide Carnival is starting to warm up and Morphettville hosted two listed events of which both were won by Magic Millions graduates. Exciting juvenile Fundamentalist (Not a Single Doubt-Centafaith) scored a brilliant win in the Dequetteville Stakes (1050m) after unleashing a powerful burst in the straight. At just her third start Fundamentalist couldn’t have been more impressive in scoring a valuable two-year-old stakes win under Harry Coffey. 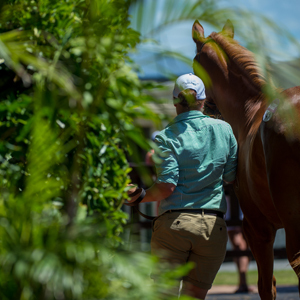 Prepared by David and Ben Hayes and Tom Dabernig, Fundamentalist was purchased by Aquis Farm and Blue Sky Bloodstock for $135,000 at last year’s National Yearling Sale on the Gold Coast. Later in the afternoon it was the rising talent Spring Choice who scored an impressive win in the listed Port Adelaide Guineas (1800m). Prepared by Leon and Troy Corstens, Spring Choice was sent out at $9 after an impressive win in the rich Mornington Guineas and with back to back Guineas wins the gelding is an emerging talent. 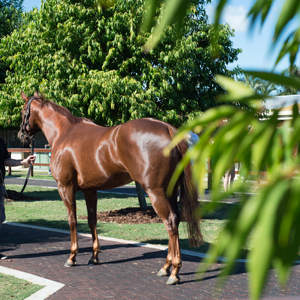 A son of Choisir, Spring Choice was purchased for $120,000 by Next Level Bloodstock in partnership with Malua Racing at the 2016 Gold Coast Yearling Sale from Aquis Farm. 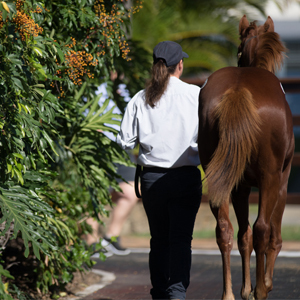 Spring Choice was a successful pin hook having being purchased for $55,000 from the Newgate Farm draft at the 2015 National Weanling Sale.